Absolutely fascinating. 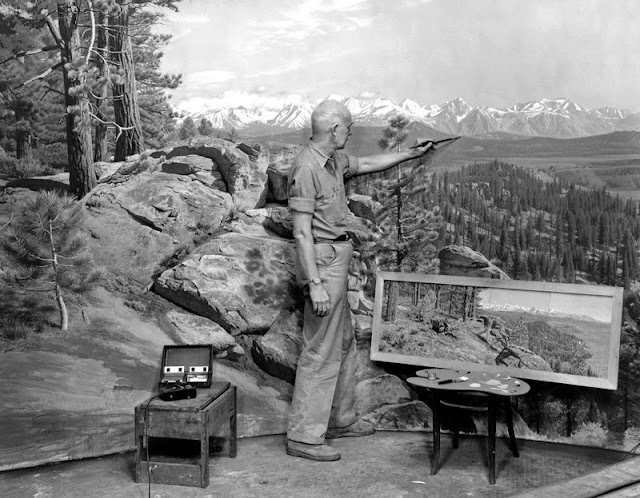 I agree that these dioramas and others across the country are just exemplary works of art. I would have loved to have been a fly on the wall listening to those debates on perspective. Incredible characters and personality, one and all. thanks for posting your shots! i only had my iphone with me last time i was there and really regretted not carrying my camera with me... some fantastic painting in those scenes. This is a killer post Alan! The pictures are wonderful.